Angel O’Connor hails from Kansas City, MO. Shortly after she moved to Pittsburgh, PA in 2009, she was offered an apprenticeship and accepted with open arms! 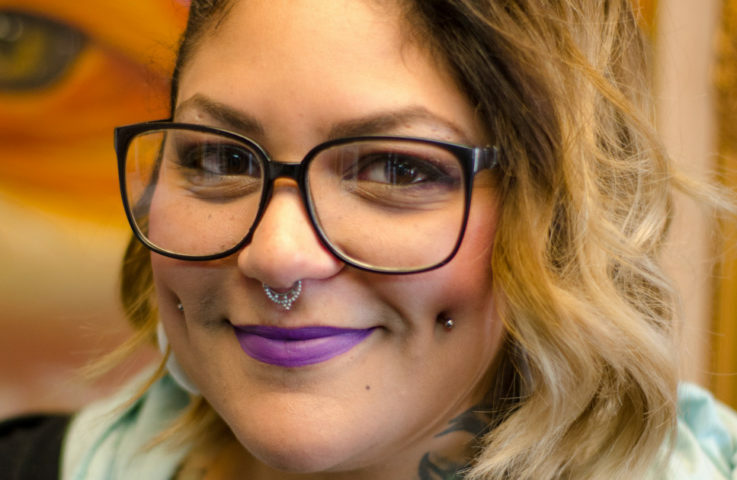 Angel has been a tattoo artist for 7 years, but an artist her entire life. She’s dabbled in every medium possible, but her favorites are special make-up effects, watercolor and of course tattooing. Before Angel became a tattoo artist, she attended Tom Savini’s School for Special Make-up Effects because she is obsessed with movies! Angel loves all genres but her favorite genre is HORROR. Not only did she get to learn how to make the best fake blood around, but most of what she learned helped her become the tattoo artist that she is today. When Angel started to tattoo, she definitely had a style that she wanted to do, but that changed as soon as she learned how to tattoo. Her favorite style as of now is Traditional, (no particular kind). Just big fat lines and bold colors! Angel loves doing portraits, color realism and anything horror themed, obviously, and would like to do more of those styles. She also enjoys a good comic book character tattoo. Angel considers herself a decent human being who loves: movies, tattooing, collecting memorabilia, being kind to people, long walks on the beach, animals, animal teeth, baby animals, adult animals, painting, Tales from the Crypt, Original Star Trek series, sculpting, my family, Creepshow, board games, serial killers (more fascination than “love”), lemons in my water, sketch comedy shows, smiling at people, Forensic Files, all things gummy and people who use the proper *your *you’re. She currently lives in a cute little area close to the city with her boyfriend, his 2 littles and our 2 cats, “Thanos” and “Gamora”. They plan on winning the lottery and traveling the world until they’ve seen all the animals and all the lands.